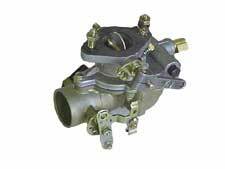 We can rebuild your Marvel Schebler TSX, DTLX, or Zenith tractor Carburetors to name a few. I could go on but this page is too long as it is. Why don't I just say, We can rebuild just about any carb out there. All we ask is that we have a complete carb to start with. We can fabricate parts but that only adds to your cost so we like to have all the parts there to start with. 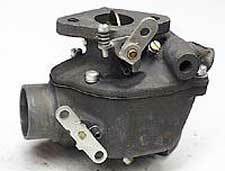 The first carb I rebuilt was a Rochester Quadajet 4 barrel. I must have been 14 or 15 years old then, and I said, "Dad, this is a 4 barrel? " My dad said, "Stevie, learn to do this one, then you'll understand how to do them all. Learn this one first." "OK dad. Your gonna help right? ", I said. I guess he knew what he was talking about 'cause I think I must have rebuilt just about every carb out there by now But hey, you learn something new every day right? I learned from dad a very long time ago that the "Special Soup" is the key to doing a carb. All the parts, ports and jets need to be cleaned from varnish and open and the only way to do that is soaking in the "Soup". We first completely dismantle the carb. All jets and gaskets etc. are removed. Then we clean it and check for worn or damaged parts. We check all surfaces and thread condition. If there is any broken mounting flanges or machining to be done on flange or float bowl surfaces or if threads need repair, we'll do this now. We Bead Blast some carbs but we need to be Really carefull cleaning ports after 'cause we don't want that stuff floating around in your carb plugging jets! Then she's ready for the "Special Soup". She gets soaked for at least 12 hours and in extreme cases, soaked, cleaned, and soaked again. When it comes out of the soup it gets cleaned again in our parts washer and all the jets and ports are blown out and checked again to be sure they are open, clean and not damaged. I did mention something about "Cleanliness" didn't I? Now it's time to reassemble with a new kit. We only use the highest quality kits available. We also check for worn throttle shaft and bushings. We will make our own gaskets if needed. We check your float in a way that I learned some time ago that works very well. If there is any leakage in the float we'll find it and sometimes it can be repaired or we need to replace it. Please don't throw away any brass float as they are getting harder to come by. A lot of them can be repaired. Remember, they made them a long time ago and what man made. man can fix, (Most times). We adjust float level and float drop to specs and finish reassembling your carb. Again, we use only the highest quality kits available and pride ourselves on each and every carb we do. Repairing or replacing threads, add $25.00 per hole. Resurfacing mounting flanges is "No Extra Charge" although there will be an extra charge if the flanges are broken and require more than just resurfacing. We reserve the right to charge a little more labor on carbs that need screws drilled out etc. but as always, we're really fair. We don't sell carb parts but if you'd like to call or e-mail us we would be glad to direct you to where we get our parts from. All we ask is that you let them know that we sent you.